Do you own your car? Is the title free and clear? If you answered “yes” to these questions, then you are the ideal candidate for a fast and easy car title loan. 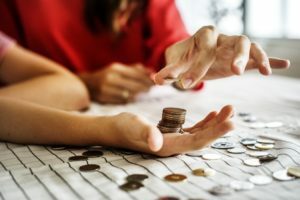 Living paycheck to paycheck has become a tedious part of so many people’s lives, but it doesn’t have to be that way anymore! With a car title loan, you can pay your bills, purchase an appliance, make home repairs, take a vacation or whatever you like! The best part? No credit check or headaches dealing with a bank. Easy as 1, 2, 3 is an understatement. All you need is your car title and an Arizona ID to get approved for a loan up to $100,000 with a reputable loan center such as Tio Rico Te Ayuda. Depending on the value of your car, you can borrow as much or as little as you need for unforeseen expenses like a medical emergency or planned expenses like a home improvement! Just choose one of the almost 20 convenient locations in greater Phoenix, Tucson, Albuquerque, and Los Angeles and swing in on your lunch break. Many car title loans can be approved in less than 30 minutes! That means from the time you walk through the door and are greeted by a friendly loan consultant and the time you are back in your vehicle with cash in hand (you always get to keep your car! ), only 30 minutes have passed. The consultant can quickly determine the value of your car and then have paperwork drawn up reflecting your interest rate, repayment terms and other important details in no time flat! Once the paperwork is completed and they have answered all of your questions, a check issued by a local bank in your name. At that point, the consultant offers to cash the check for you right then. Don’t be intimidated by car title loans any longer–the Tio Rico team is trained to make it as stress-free as possible! With tons of repayment options and plans to fit your specific budget and pay schedule, there is no reason to hesitate. Visit Tio Rico Te Ayuda today!